There are different categories of accommodations. Depending on the destination, route, weather, and your wishes we will use different facilities. 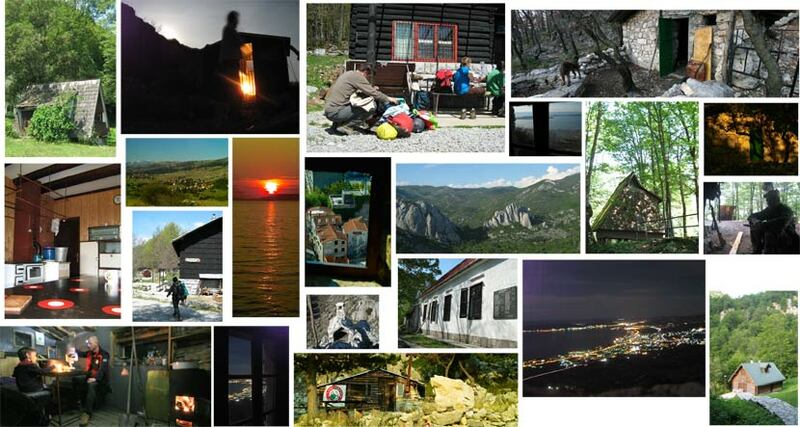 Sleeping in a tent in sleeping bags or under the open sky by the fire at appropriate locations near the water spring. Sleeping at mountain hut with a fireplace and preparing food, a table and dishes. Facilities have improvised sleeping places. They are usually supplied with water. You need to bring sleeping bag along. Mountain house is a facility that has joined bedrooms with bunk beds, and sometimes separated bedrooms, kitchen, living room, bathroom and a toilet. There is usually electricity, and you are able to buy food and drinks. Apartment accommodation.